Our Process to Help YOU Plan The Best Retirement Possible! I'm Royce. If you have landed here I will assume you are 50+ years old and looking for some information or help with retirement planning and/or money management. That's where I will start from. I help seniors make smarter retirement planning decisions so they might be able to retire sooner, better, happier. In fact, I am one! I've been Insurance licensed in Texas since 1971 and invested in the market for the last 30 years. My advisory practice is virtual, so unless you live local to Bryan/College Station, TX, we will meet online via the Internet. This is how I have planning sessions with people all over the US. If you can open a browser and check your email then you are good to go. We can have a successful online meeting. I help folks be smart with their money. What you pay and how well you can plan your retirement matters to me. I feel that it is important for you to know exactly what you pay so there are no unexpected or unexplained costs. My goal is to help make sure you achieve your financial and retirement lifestyle goals. With that in mind, I'm always looking to design long-term diversified investment strategies built within a planning process and always looking for the most cost-efficient high-value ways to manage your money. I do this for folks that want a personalized planning experience, but don't have time for in-office meetings. I offer comprehensive retirement & estate planning, custom, transparent and research-driven portfolios along with easy-to-understand monthly statements. Back in 1979, when personal computers first came out I had just started my own insurance agency. Understanding the potential, I immediately began writing computer programs to help run my business. That decision allowed me to grow faster than any of my competition and ultimately retire at 40. Then I went to Alaska fishing for 3 weeks to get that off my bucket list! To stay active and involved in retirement I started this advisory practice to help seniors like me get “the rest of the story” on all their retirement planning options. I gave up my office last year and now work from home. It's awesome. I am a fiduciary fee-based money manager and investment advisor representative. Relative to all insurance products I am a commission-based advisor. Are we a good "FIT"? You're busy and so am I so let's cut to the chase. Many folks have a preconceived idea about what “their” financial advisor should be. If you feel your money or station in life requires a financial advisor that wears a suit and has a nice upscale office convenient to you and maybe is a member of the “right” country club - then I’m not a fit for you. If retirement planning and money management is another important life tasks that you would like to handle as efficient as possible and at time and place that’s convenient to you - then I may be a good fit for you. If you feel more comfortable with a national brokerage name you see ads for on the door of the advisor that you and your friends go to - then I'm probably not the right fit for you. But, I might be a great fit for a 2nd opinion on your managed money. If you want an advisor that will actually take the time to explain your various retirement planning options and build an understandable plan for you - then I may be a fit for you. Some folks have a VIP mentality, which I have no problem with, they probably worked hard to earn it, but I'm just not set up for that level of time, service and attention - just not my business model - but hey, you're in luck, you are just what most other advisors want! If you resemble more the inconspicuous millionaire next door, do not need to see your advisor at the local country club or local gala fundraising event - then we may be a fit. 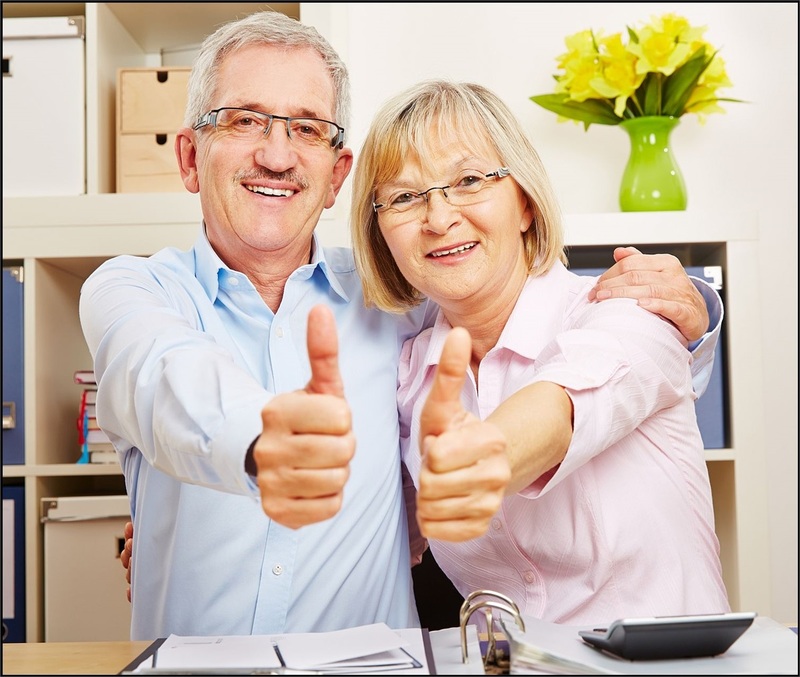 Happy, frugal retirees that have enough money to feel comfortable in a fun, active, well thought-through retirement that allows them the ability to indulge their passions are generally a good fit. Another area I work well with is widow or widower parents. If I can get the parent online with one of the adult children then I can easily include, via the internet, other adult children. They can all be in different cities, no problem. Now you can have a meaningful family discussion about finances and keep everyone in the loop. This is a great way for Baby Boomers taking care of parents to include siblings if they have any, so everyone is “OK” with what’s going on with Mom or Dad’s money. I see this coming up more often these days. Lastly, if you do your banking online, research via Google, routinely make purchases online from retailers like Amazon or live in a rural area with internet and want an experienced advisor close by - them I’m definitely worth considering. On the light side, I can chat all day about organic vegetable gardening, rural living, wildlife exemption on small acreage and DIY most anything. 1. Get acquainted, check each other out, decide if we want to go further. 2. Test Drive your RETIREMENT, what do you want? 3. We find your best planning options to get there. 4. If you like what you see then we Implement and review annually. Step 1: I start with folks in one of two ways. If you want some more information, have some specific questions or just want to chat, give me a call. Otherwise, you can start with a short risk evaluation questionnaire and when you finish I'll call you. CLICK HERE for that. Then, we will have a chat about your retirement hopes, dreams, fears, family situation, grandkids, x-spouses, etc., etc.. At this point, I will check your Social Security Maximization Strategy, ask about any pensions or investment accounts you may have. 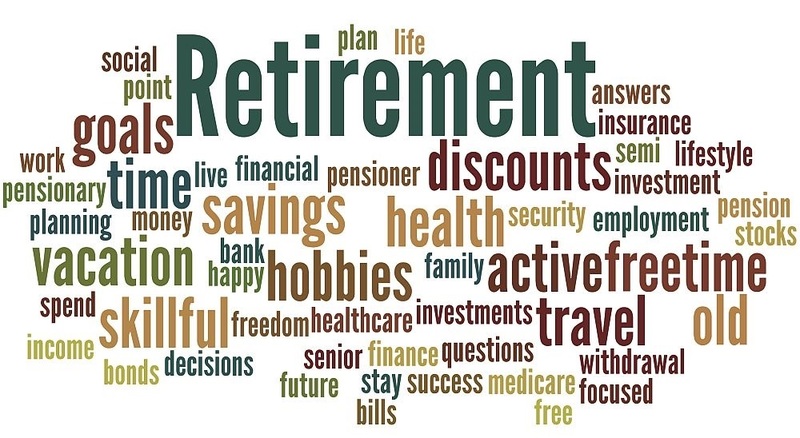 What are your retirement prospects? Step 2: Then once I have an idea of who you are we'll take the Retirement Test Drive to find out what your retirement potential is for the lifestyle you say you want. This will give us a 10,000-foot view of how all your assets and income streams mixed together and extended out over the next 20 or 30 years. Does what you have currently support your expected retirement lifestyle? Yes, no, maybe? We will find out for sure! On occasion, there are multiple Step 2's in order to make sure we are all on board and understand the task at hand. I usually end up having multiple Process 2's with folks that are not experienced in retirement planning, considering Long Term Care or new to money management. This is especially the case when working with families, like with a parent and their adult children. Step3: If everything looks good I'll show you how it can break. If it's already broken I can usually come up with a couple of options that might help make it better. I may offer an option you've never heard about. That's okay because we will Test Drive all options until we determine if they are smart financially and that you understand them completely. We will meet one more time for you to ask any final questions that came up from our in-depth Retirement Test Drive. If I have any options to propose or a second opinion on how to structure your money under management then we will look at that. Step 4: If there is one, this is where we will begin to implement any of the retirement planning options you would like to move forward with. As you might expect this requires getting lots of information on applications and then these are sent to you for an online e-signature. Don't worry if you have never done this before I can walk you through it. Of course, there's always snail mail and sometimes that's required. If you become a client we review your plan annually, more often if needed. If I manage your investment accounts you will get Economic Updates from me weekly and an easy to understand account statement every month. Whether you are an early planner in your 50s or a serious planner and maybe retiree in your 60s or you are already retired in your 70s you likely have questions. There is a lot of misunderstandings and misinformation out there. Don't wait until it's too late! Let's chat. So, if you had a significant future problem with your retirement when would you want to know about it? Sooner or later? Investment advisory services offered through Brookstone Capital Management, LLC. (BCM), a Registered Investment Advisor. BCM and Royce Financial are independent of each other. Any guarantees mentioned are backed by the financial strength and claims-paying ability of the issuing insurance company and may be subject to caps, restrictions, fees and surrender charges as described in the life insurance or annuity contract. Fiduciary duty extends solely to investment advisory advice and does not extend to other activities such as insurance. Advisory clients are charged a quarterly fee for assets under management while insurance products pay a commission, which may result in a conflict of interest regarding compensation. The content of this website is provided for informational purposes only and is not a solicitation or recommendation of any investment strategy. Investments and/or investment strategies involve risk including the possible loss of principal. There is no assurance that any investment strategy will achieve its objectives. Royce Bordman and/or Royce Financial are not affiliated with or endorsed by the Social Security Administration or any other government agency.